Kevin de León, president pro tempore emeritus of the California State Senate, has joined the UCLA Luskin School of Public Affairs as a distinguished policymaker-in-residence and senior analyst. The former state legislative leader bolstered California’s role in fighting climate change and building a clean-energy economy. 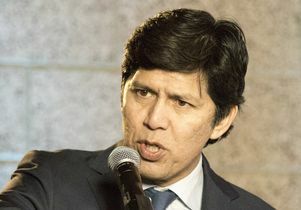 “Kevin de León has led the way for more than a decade on issues as important as environmental protection and climate, immigration, education and so much more. Our students and researchers will both benefit greatly from his insights and vision,” Gary Segura, dean of UCLA Luskin, said in announcing the appointment. De León began his new role as UCLA Luskin on Jan. 22 and will teach his first courses at UCLA in the spring quarter that begins in April. 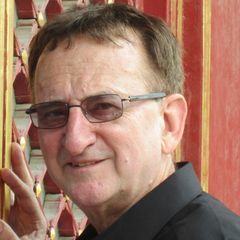 His courses will focus on topics of interest to the school’s graduate students studying public policy and to undergraduates in UCLA Luskin’s new major in public affairs. His role at UCLA Luskin will also include an advisory position with the Latino Policy and Politics Initiative, which is a multifaceted laboratory designed to support Latinos around domestic policy challenges. Research and policy briefs from the initiative tackle major legislative issues that directly impact Californians, particularly communities of color. Read the full news release on the UCLA Luskin website.